How do you maximize the value of a home in a probate sale? Can you do a Short Sale in Probate? Selling Real Estate that is in Probate or that is held by an estate or being liquidated through the execution of a will, is exactly the same process and any other real estate transaction. All of the usual real estate procedures and considerations are exactly the same. Sacramento Probate Real Estate Sales are not difficult or complicated. Laws that govern the sale of real estate do not change when the owner is deceased. There will be title issues related to the death of the owner and there may additional be title issues related to encroachments, easements, mortgages and other encumbrances, property taxes, Mello Roos and other tax issues and even environmental concerns to be researched, disclosed and taken care of . Many times in this type of sale, the home may be in some state of disrepair. 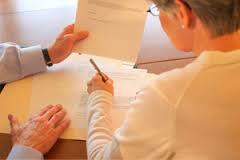 This is a very common in Sacramento area Probate Real Estate and just a reality when an elderly owner passes. The estate should be gathering information in order to decide whether to do those repairs or be ready to price the home accordingly. Since 2006 and beyond, it has been very common in the Sacramento Area to sell real property with a mortgage that exceeds the value of the property. This situation can pose a dilemma for an Estate and creates a lot of stress and uncertainty for families. Sometimes the real property has been left to specific individuals, and the property is “underwater” . Many times these specific individuals may not want the property. They can disclaim their interest in the property to avoid taking title to property that is “underwater”; however, the Estate as a whole does not have that luxury. If there are other assets in the Estate, a mortgage lender may be able to file a claim for any short fall between the value of the property and the mortgage. The lender can also foreclose on the mortgage. These issues can be complex and difficult to address and will require the help of an experienced probate and estate specialist to sort through. Most of the time, this will not be an issue. Many times the property requires some repair, and/or improvements to enhance the value. At least the removal of all personal property and getting the house clean and not cluttered. A good realtor to make recommendations and direction as to the types of things to be done in order to generate the highest value of the property is strongly advised in every case. One other issue that comes up frequently is determining the target value of the house for sale. Of course, a Probate Real Estate Specialist can help in regard to valuing the house for listing and for a minimum realistic sales price; however, family members sometimes have higher expectations. They believe the value is more than the reality of the market. A great realtor will take the time to educate and demonstrate the current market value. Even though expectations may be unrealistic, they should not be dismissed. Helping all involved to gain adequate market knowledge in order to come to an agreement of market value takes great communication skills. By taking adequate time and providing reports, data and statistics, the Probate Real Estate Consultant helps the family and heirs develop knowledge of the market. And through doing this he earns their trust. A great Probate Real Estate Consultant will help all parties come to a consensus and agree on a range of value that will avoid problems that unclear expectations create. Every single probate situation is different. All are challenging, We can help you. Call us today. We are your Sacramento area Probate Real Estate Sales Experts! This entry was posted on Thursday, September 3rd, 2015 at 5:07 pm	and is filed under PROBATE REAL ESTATE LEARNING CENTER, Sacramento Real Estate, Sacramento Short Sale and Sacramento Foreclosure News. You can follow any responses to this entry through the RSS 2.0 feed. Both comments and pings are currently closed.